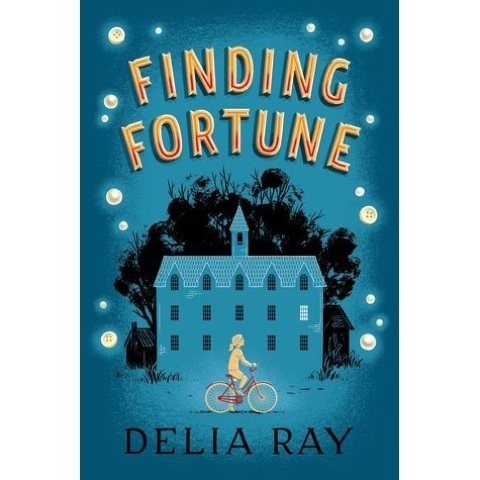 An almost ghost town mixed with the long gone button factories that lived along the Mississippi River and you have just two parts of Delia Ray's new story for elementary and middle school students. 12-year-old Ren is fascinated by the old school in the almost empty next town over curiously named Fortune. An older woman is fixing up the school as a boarding house and a button museum and Ren gets mixed up with their stories instead of her own. Her dad, serving in Afghanistan, will be home soon and Ren feels like her mother needs to be more excited about his upcoming arrival. Her older sister is busy working and dating a French foreign exchange student. It's easy for Ren to find life a little more thrilling with Hugh, Hildy, Mime, and the rest of the museum characters. Mystery and intrigue-perfect for kids wanting just a bit of a scare.